Notes: The car park at Swirls is a very popular car park all year around and is owned by United Utilities. 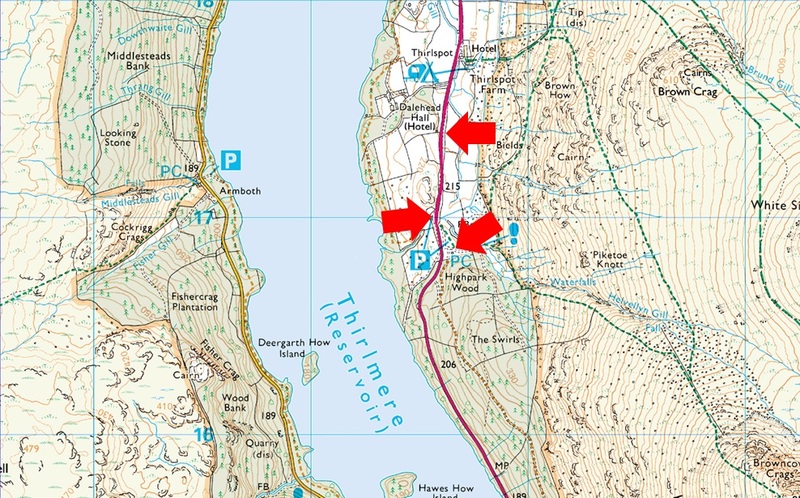 There is a toilet block on the car park with easy access onto Helvellyn via Browncove Crags. On the opposite side of the A591 a smaller car park can be found overlooking Thirlmere Reservoir. Parking charges apply at both car parks, however a short distance north (upper arrow) a lay-by can be found where it is free to park.